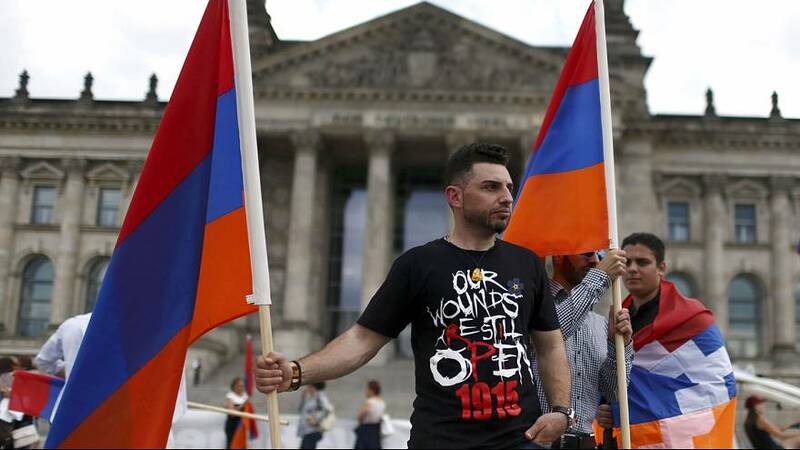 Germany agrees to refer to 1915 massacre of Armenians as "genocide"
An historic vote in the German Bundestag has declared the 1915 massacre of Armenians by their Ottoman occupiers was “genocide”. The overwhelming majority of MPs voted in favour of the resolution, with only one abstention and one rejection. Turkey is bitterly opposed to the resolution, with both President Recep Erdogan and Prime Minister Binali Yildirim saying that it could damage the relationship between the two countries. While the exact amount of people killed in the massacre is disputed, Armenians say that as many as 1.5 million of their people died. However, Turkey says the death toll was far lower and rejects the term “genocide”. The country doesn’t deny that Armenians subjects to the Ottoman Empire were killed, Turkey says that “genocide” – which describes the systematic slaughter of a particular nation or ethnic group – is not an accurate term. The resolution created backlash amongst Germany’s large Turkish Community even before the vote, with many MPs reportedly receiving threatening and insulting emails from constituents. Cem Ozdemir, leader of the German Green Party, himself of Turkish descent, voted in favour of the resolution. In 2011, Turkey recalled its French ambassador after France passed a law criminalising the denial of the genocide. Last year, it recalled its representative in the Vatican after Pope Francis called the massacre “the first genocide of the twentieth century”.